Over the past few days I've been obsessing over light blue everything. Shoes, handbags, dresses, you name it! I've tried on a dress at Zara and contemplated a purse from Aldo all in the last week. If you can't tell I'm smitten but not ready to commit. I think I'll be heading back for the Aldo purse or maybe ordering it online. Since spring items are only starting to come out now it might be a good idea to wait and see what other pieces I might fall in love with. 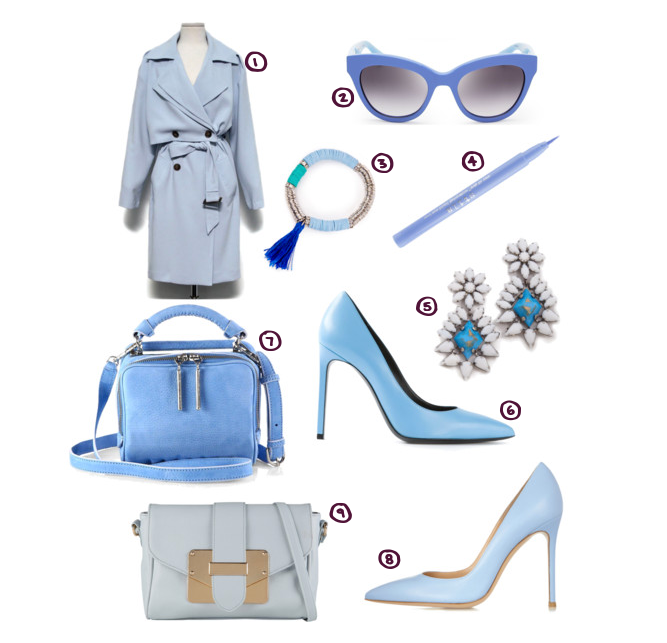 Here are a few of the pieces that are just the perfect shade of light blue.